Agricultural livelihoods are the pulse of the African continent, bolstering national economies and dominating the labor force. The whims of the changing climate have complicated the quest for high yields, increased agricultural productivity and a reliable food supply. In this dynamic, while women make up a large portion of smallholder farmers across the developing world, they face multiple barriers in land ownership, access to resources and markets and the delivery of extension services. This dynamic has limited the meaningful participation of rural women and created profound gender yield gaps. One thing is for certain: to achieve food security, we need gender equality. To promote gender equality across agricultural livelihoods, the CGIAR Research Program on Climate Change, Agriculture and Food Security (CCAFS) strives to mainstream gender-responsive climate-smart agriculture (CSA) strategies and practices. This Africa Environment Day, we celebrate CCAFS’ efforts at the nexus of gender, agriculture and climate change in Ethiopia, Mali, Rwanda and Senegal. Doyogena is the newest Climate-Smart Village (CSV) in Ethiopia. Located in the country’s south, this once degraded landscape has benefitted from an alliance* implementing climate-smart interventions to enhance resilience in agricultural livelihoods. In November 2018, CCAFS East Africa organized a field visit to Doyogena with multiple partners and institutes, centered on mainstreaming gender-inclusive strategies for scaling-up CSA across the climate-smart landscapes. 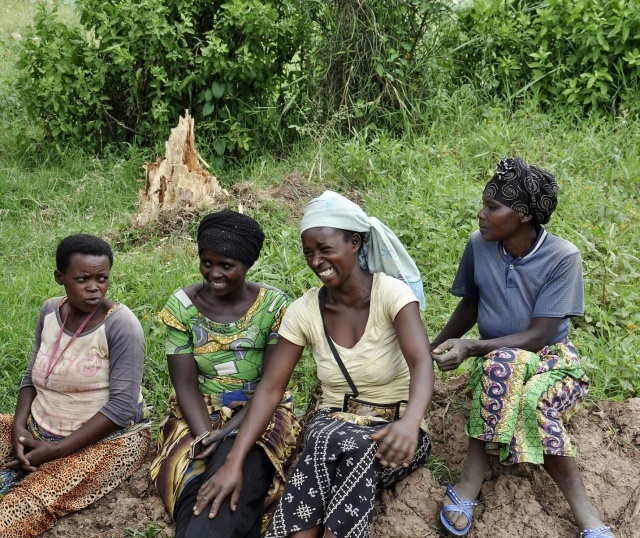 To tackle such a dilemma, CCAFS and the United Nations Entity for Gender Equality and the Empowerment of Women (UN Women) are teaming up to ensure that gender equality and climate-resilient agricultural productivity become inseparable in Doyogena. At present, a gender-based needs assessment is being conducted to evaluate how best to engage women farmers in CSA, create equitable gender representation, boost opportunities for women’s economic empowerment and enhance their adaptive capacity to climate shocks. 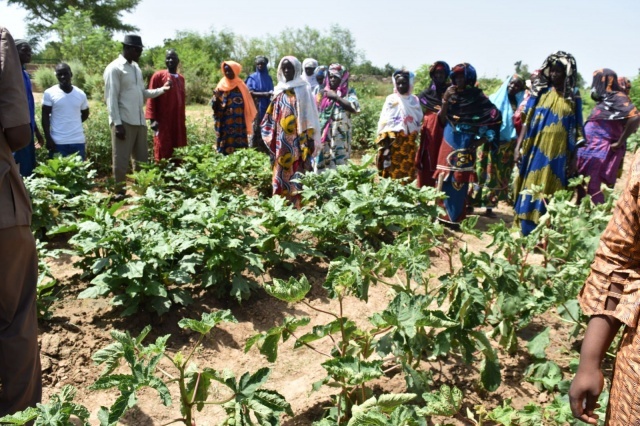 Cinzana CSV in Mali is characterized by demonstration sites aiming to improve the knowledge of smallholder farmers and enable them to understand climate-smart practices that are locally appropriate. 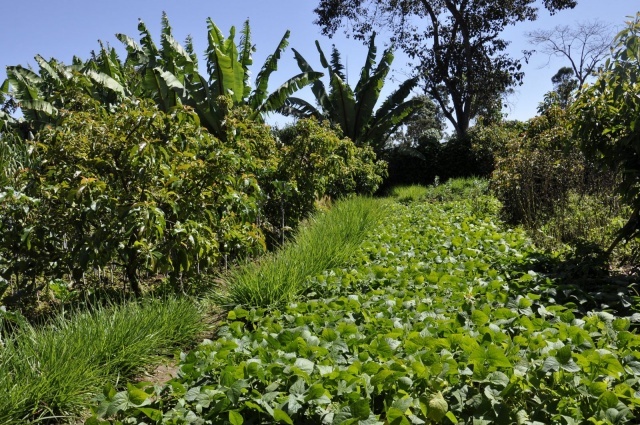 In addition to farm demonstration plots, market gardening demonstration plots exist for women farmers to experience innovative climate-smart technologies and practices. CCAFS, in partnership with the World Vegetable Center and the Institute of Rural Economy (IER), has provided training for farmers on soil fertility management, water conservation and crop production. Female farmers have been exposed to varieties and technologies that were unknown to them beforehand. The above words came from Monique during a training about Participatory Integrated Climate Services for Agriculture (PICSA) in Kigali, Rwanda, in February 2019. 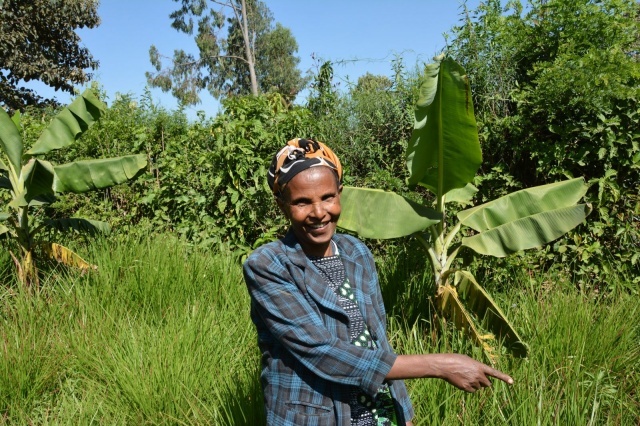 She was recalling her previous harvests of poor yields and failed crops and was finally able to envision different possibilities by coupling current agricultural practices with weather and climate information. The PICSA methodology facilitates participatory approaches between agricultural extension workers and farmers to evaluate historical climate data as well as analyze both seasonal and short-term forecasts to inform decision-making for farming livelihoods. Through the Rwanda Climate Services for Agriculture (RCSA) project, launched in 2015, the PICSA approach has now reached all of Rwanda’s districts. While women farmers rarely receive agricultural extension services on a global scale, the RCSA project, combined with the PICSA methodology, has been able to transcend this fate, harnessing the strong leadership of rural women, including farmer promoters, agronomists, socio-economic development officers, and of course, farmers themselves. In Senegal’s Daga-Birame CSV, farmers have highlighted that droughts, floods and strong winds have sparked major challenges for their livelihoods. Alternative practices, such as harvesting and selling forest products have been increasingly applied to fill food gaps. However, this has prompted an unhealthy cycle of resource degradation. 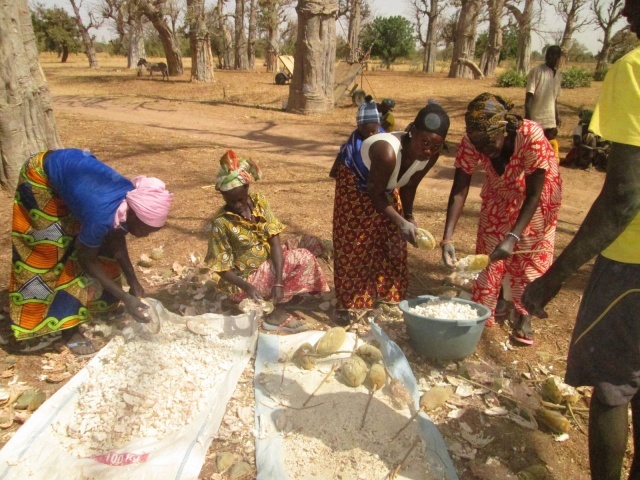 In order to successfully cope with the continuous deforestation, women have been supported by the Building resilient agro-forestry-pastoral systems in West Africa through participatory action research (BRAS-PAR) project.The interventions focus on Baobab trees that are traditionally overharvested in Daga-Birame and their aim is to transfrom current practices into more sustainable ones. Within this framework, the “one woman, one fruit tree” juice business was created to facilitate economic opportunities from agroforestry and increase nutrition as well. A women’s committee focusing on the promotion of non-timber forest products was also established to process baobab fruit into powder with the goal of generating income and depositing the earnings into common village savings. Efforts are also being made to protect existing trees and cultivate new ones. The women’s committee has decided to find ways to increase the diversity of local fruit trees in their village. Along the way, they have introduced other drought-resistant fruit trees that offer income-generating opportunities, such as jujube, tamarind, guava and soursop. *Doyogena CSV is a collaborative partnership between Inter Aide, the International Centre for Tropical Agriculture (CIAT), CCAFS and the International Livestock Research Institute (ILRI), with support from the Feed the Future Africa RISING program of the United States Agency for International Development (USAID). The BRAS-PAR project is a coalition between CCAFS, the World Agroforestry Centre (ICRAF), the International Crops Research Institute for the Semi-Arid Tropics (ICRISAT), the Senegalese Agricultural Research Institute (ISRA), the National Agency of Civil Aviation and Meteorology (ANACIM), as well as local partners.